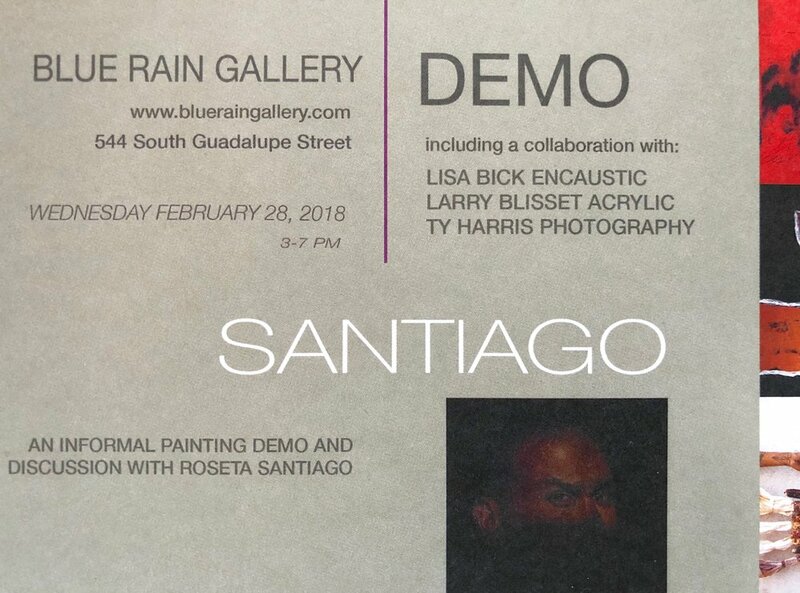 Lisa will be showing ten pieces in a collaborative exhibit with Roseta Santiago at Blue Rain Gallery in Santa Fe, NM. The show opens February 28th, 2018. Also being exhibited will be "Woolgathering: Tesuque" and "You undermine the horizon". Lisa was selected to be included in the fabulous blog by Brenda Smoak called, "Artists Tell Their Stories". Below is the post from this blog. "We dance on the Swirls of Cloud Tops" has been juried into the 2017 Biennale National Juried Exhibition. This painting will be exhibited and for sale during the month of May at the Walter Greer Gallery in the Arts Center of Coastal Carolina on Hilton Head Island, SC.